William retraces Diana steps: Hides tear behind sunglasses? 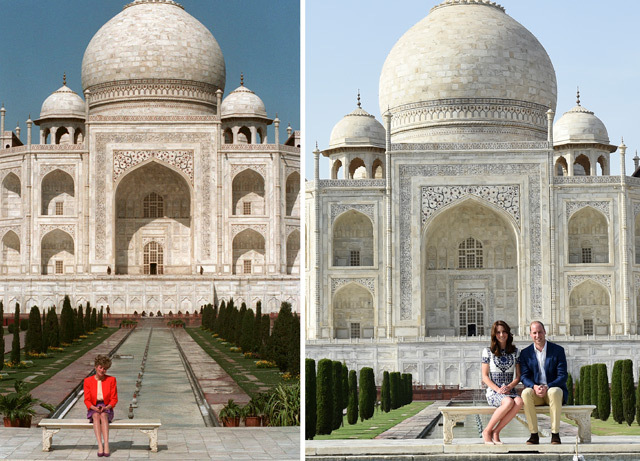 Prince William and his wife Kate arrived at the Taj Mahal last Saturday, wrapping up their week-long trip to India and Bhutan with a visit that carries poignant echoes for Britain's royal family. 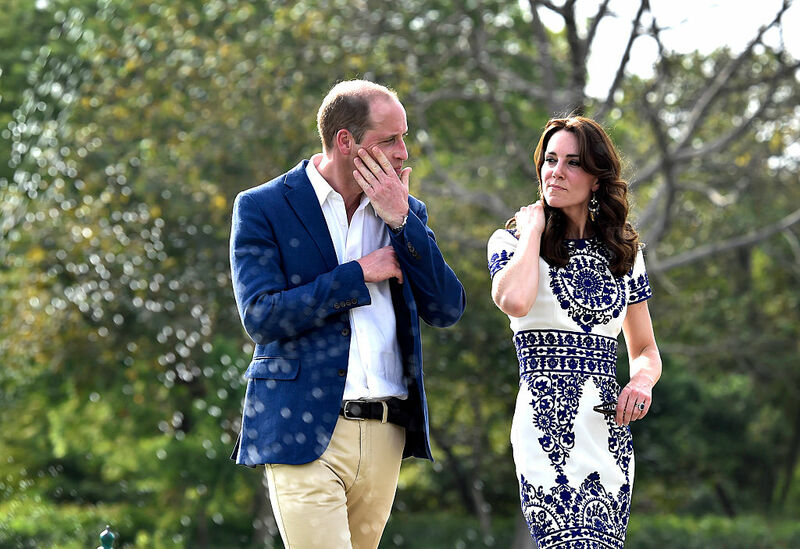 The couple's visit rushed back memories of William's late mother Diana. Did the emotion get to William as he retraced his mother's steps at the Taj Mahal? Prince pictured wiping his eyes before putting on sunglasses after he and Kate posed on same bench as Diana.